Alcoa has finished a $300 million expansion at a Tennessee plant supplying automotive aluminum to the Detroit Three, the company announced Thursday. The plant has already begun shipping aluminum sheet to OEMs. A Davenport, Iowa, plant which finished a similar $300 million plant expansion in January 2014 posted second-quarter automotive aluminum shipments up 200 percent. Alcoa has also projected that the $229 million in automotive aluminum sheet sold in 2013 will reach $1.3 billion in 2018 — a sixfold gain. Sign up today — space fills up for the three OEM Summit courses — for Doug Richman’s “The Future of Aluminum in the Automotive Industry,” and Blake Zuidema’s “The Continuing Evolution of Advanced Steels in Automotive Bodies” during the SCRS Repairer Driven Education series. Register here. Now, the Iowa gain might be skewed by 2015 model year production — like Ford’s aluminum F-150 — of vehicles which didn’t exist a year ago. And it makes it easier to predict through 2018 when the most popular truck line in America just committed to a new aluminum generation during that time. However, you probably don’t spend $600 million on aluminum plants unless you’re confident the demand will continue past that, and Alcoa said the facility will supply General Motors and FCA and is backed by customer contracts. It behooves repairers to at least keep an eye on the metal, which has been projected to command 85 percent of all hoods in the coming years. 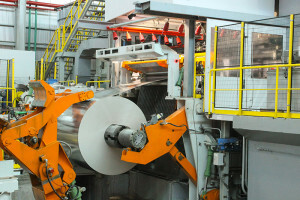 The site also has a large recycling facility for automotive aluminum scrap, and Aluminum Association’s Transportation Group technical committee Chairman Doug Richman has cited the reusability of the metal as a perk for OEMs.